David F. submitted this photo and caption. 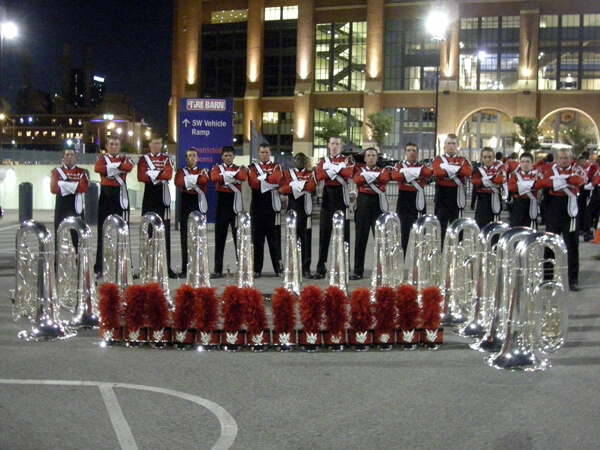 This is the 2011 Boston Crusaders Contra Bass Section on Finals night in Indianapolis. I'm so proud and honored to have been a part of this section and to me this picture reminds me of all the things we overcame through the entire season. All the holes we had to fill and the multiple injuries we had to deal with, but in the end these 14 brothers proved to be one of the strongest lines Boston has had.